Fondia | The Finnish Social and Health Care Reform and State Aid – what is it all about? 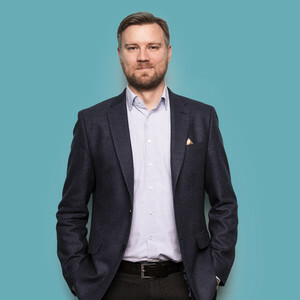 The debated Finnish Social and Health Care Reform, nationally referred to as SOTE, has recently taken a new turn of events. The Finnish Constitutional Law Committee has in June stated that there has been a lack of consideration regarding the compatibility between the planned freedom of choice model and the EU State Aid regulation. This has followed by discussion on whether the Finnish Government should report the freedom of choice model to the Commission for review, or in other words, make a state aid notification. A notification, i.e. a legal certainty announcement. Still doesn’t ring a bell? No wonder. The EU jargon is sometimes exotic even for those dedicated to the subject. Let’s thus unwind some of the background of the problem and then discuss the procedure itself. In short, EU state aid regulation prohibits states (or other authorities such as municipalities) from subsidizing certain companies without acceptable legal reasons. In fact, the rules apply on all kinds of procedures by which the public sector provides aid or other support to companies, regardless of the form of the benefit. Any unjustified benefit would naturally distort competition on the market since the beneficiaries of the aid will have an advantage over their competitors. There is a wide arrangement of justified forms of state aid as well, but they all have to be approved by the Commission in one form or another. The Commission’s job is to review whether the planned aid procedure distorts competition or if it can be approved. This reporting to the Commission of a planned aid forms the notification procedure. It is exactly this enterprise model which is causing a headache from the state aid perspective. Why? In 2007 the Commission made a ruling against Finland regarding the Finnish Road Enterprise. The Commission reviewed, among other things, issues regarding taxation and bankruptcy. As a result of the investigation, the Commission ruled that the Finnish Road Enterprise’s special treatment in taxational and bankruptcy matters infringed EU state aid rules. Especially its bankruptcy protection was regarded as an unlimited State guarantee. The bankruptcy protection and the favorable tax treatment put the Finnish Road Enterprise in a better position in relation to the companies competing with it. The Finnish State ended up incorporating the Finnish Road Enterprise to become Destia Ltd, which removed the before mentioned state aid problems. The public utility enterprise model, however, received a broader stance form Brussels: states and municipalities had to incorporate all of their public utility enterprises or enterprise functions that competed on the market with private companies. Other public utility enterprises were allowed to continue their function as long as they did not compete with private companies. This is often in legislation referred to as competition neutrality. Back to the Social and Health Care Reform. In the reform, the bankruptcy protection is regarded as a necessity to guarantee the municipalities’ organizational responsibility. Then again, from the Commission’s point of view, the fact that a public utility enterprise can’t go bankrupt is seen as an unlimited municipal guarantee. This puts these enterprises in a better position than the private service providers. In addition, they can often receive financing on leaner conditions than their competitors. Thus, all the elements for distortion of competition are present. There are naturally other elements relating to this debate such as the economic (or uneconomic) nature of the activity, the recent EU General Court ruling regarding Slovakia, the possibility to define social and health care services as services of general interest etc. I will not discuss these further in this context. It is precisely because of this incoherence that the planned reform should be notified to the Commission for official review. This is also the point of view of the Supreme Administrative Court of Finland. The notification process is a good way of ensuring that the process is performed correctly, even if it is not 100 % sure – the Court of Justice of the EU may still overrule the Commission’s decision. The Constitutional Law Committee is, however, reasonably concerned about the fact that the incoherency continues without the notification and that the system is subject for challenging in the Commission or in the Court of Justice. It is understandable that dissolution of an implemented social and health care system or changing of the core principles of the freedom of choice procedure ex post would require a lot of work. Finally, a few words about the notification process itself. Member states should in accordance to the state aid regulation report new aid measures (or potential ones) before they are implemented. A measure can’t be implemented before the authorization of the Commission. The Commission has to make a ruling within two months following the receipt of a complete notification. The phrase “the receipt of a complete notification” gives some liberty to the Commission, because it is the Commission itself that decides when it has received enough information, so it is always possible for the Commission to postpone the starting date for the investigation by requesting further information. This is likely to happen with the discussed Social and Health Care Reform due to the significant amount of uncertainties and unfinished details. Therefore the conjectures in the media on processes lasting for many years and the delay of the implementation of the reform are not completely unfounded but a realistic threat.